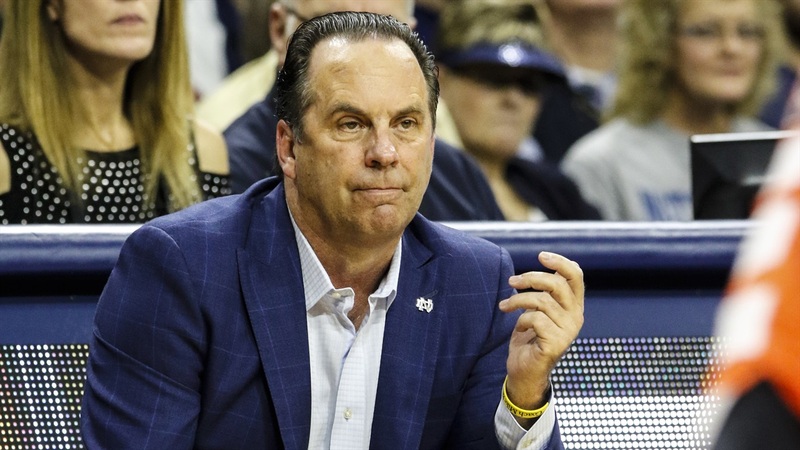 Notre Dame head coach Mike Brey spoke following an impressive win over Boston College on Saturday afternoon. “As TJ (Gibbs) was exiting the building throwing up, I told our guys, we have six and for Liam (Nelligan) to be ready and let’s make it a great story. I’m proud of our group. A lot of different guys stepped forward and made plays to get out of here with a win. “We had a shoot around at 8:30 am like we normally do for Noon games. He was fine. I knew he was out there about 25 minutes before the game then he kind of had migraine symptoms with headaches behind the eye and was nauseous. “He had a bad fall against Virginia Tech and tweaked it against Syracuse. It didn’t respond very well this week. My feeling is let’s see if we can get it healthy before we start playing him again. WE’ll re-evaluate it on Monday. “There’s always a consideration. He’s dressed. I went into the game thinking let’s really do it with six. Liam, I told to be ready. “I was going to bring Prentiss off the bench to try to help him. Then he starts and plays 40 minutes. I told them no one gives us a shot and let’s be a great story. I’m proud of our young guys. I thought the three freshmen really delivered. “Through 55 practices, he’s shot 38% from the three-point line. Guys who can’t shoot, it will play out over 55 practices. I also know what he did for us here is what he did for us early by scoring in the first half to help us. “We played zone pretty much the whole game. It’s going to be a big part moving forward. One of the things we did was add a little 1-3-1 entry to our 2-3. We used that in the second half and it helped us. “Everything went great on Friday. No surprise. Very straight forward ACL tear. He’ll start his rehab.